We drove down to Solomon's Island this morning to be with my friend Cheryl Ritchie. When we arrived the parking lot was filled to overflowing. Even though this was a sad occasion, sadness was not the theme. Laughter was! The family greeted each person and made everyone feel welcome. There were photos and albums and posters with good times, good friends, neighbors, family and co- workers. If I had to sum up the two hours of listening to the most wonderful stories about Cheryl's daddy, DBR, it would be one word. LAUGHTER. No one spoke this man's name with out using laughter in their description. So many stories, so much life, so much love, so much friendship. I felt like I knew Daddy even thought we never met. 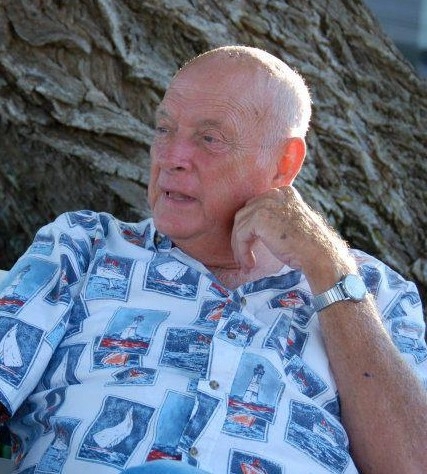 He was a lucky man who lived his life to the fullest and earned a tremendous amount of respect, love and admiration. I was proud to be at this memorial and I was proud of my friend Cheryl. I hope you get the chance to read Cheryl's tribute to Daddy. Daddy would be proud of Cheryl today! This wonderful two story contemporary was listed the beginning of February. This is a home that I really love. The sellers were fabulous getting ready for showings, making it look so easy. Each time I went to meet buyers and agents, the house was perfect. The lights were on, the windows were opened and it was immaculate. It was hard to believe a family of four, including 2 exquisite little boys, could possible live there. When selling a house you have to do more that the 3 P's. Putting it on the MLS, Putting a sign in the ground and Praying. A few blogs were posted about the community 10 Reasons to Live in Greencroft and weekly Color print advertising to get the word out. Our showings started within the week and when several showings were scheduled on the same day we Had An Impromtu Open House. I even posted the details showing the public 1 Clipping Tree Lane on our MLS. Most people really like seeing lots of photos so I even included the Royal Flush! Two Story Brick, Cedar and Stone Contemporary. Within a couple of weeks we had a great deal of interest. The lucky buyers found us at the impromptu open house. They were perfect buyers who loved the house and the land. It was a few more days and we were Under Contract. Today March 30th we had a delightful and very smooth settlement. Congratulations to the sellers and wishing the new owners lots of love and happiness in their dream home. 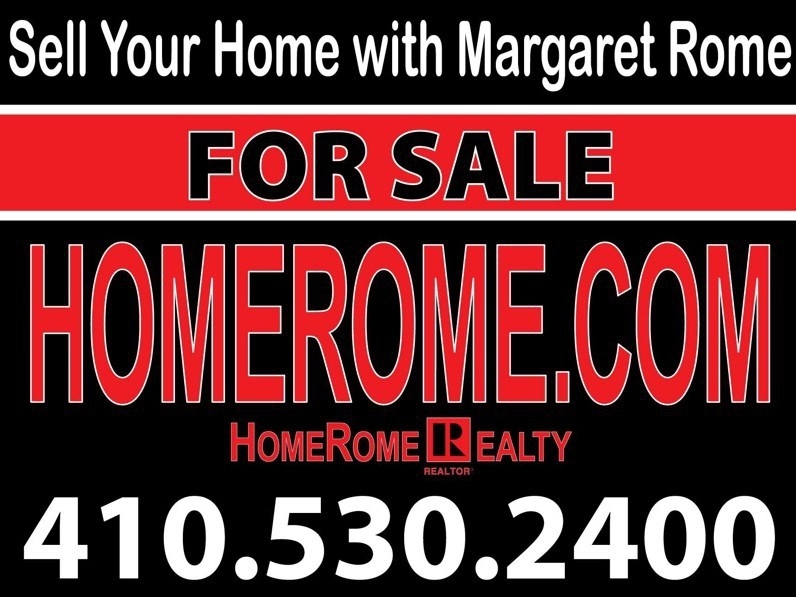 If you want SOLD on your home call Margaret Rome. My friend and fellow Realtor® June Piper-Brandon has come up with 10 good reasons for living in the Baltimore area. I am sure, we could add a few more. As many of you know I am not originally from Baltimore. I moved here in 1997 and stayed. 1. Education - Maryland has many of the best schools in the country and offers many opportunities for higher learning. Johns Hopkins University, University of Maryland, Stevenson University, Loyola College, Towson University just to name a few. Plus, Baltimore County has 3 of the top high schools in the state and 19 high schools in Maryland made it to Newsweeks top 500 high schools in the country. 2. Health Care - Baltimore is home to the best hospital in the country according to US News. That is Johns Hopkins. In addition to Hopkins Baltimore also hosts many other hospitals and medical teaching facilities. 3. Entertainment - Baltimore is home to the Myerhoff Theatre, Lyric Theatre, The Hippodrome as well as many other small neighborhood theatres, many movie theatres, concert houses and small neighborhood locations. In addition there is the Inner Harbor with many points of interest and many local museums. 4. Employment - The seasonally adjusted unemployment rate in January 2012 was only 6.5% compared to the national average of 8.3%. There are many employment opportunities here and Washington DC is an easy commute by bus, train or car for would be employees. 5. Travel - International travel from the Baltimore area is serviced by BWI Airport in Hanover, MD and also by Regan National and Dulles in Washington DC/Northern Virginia. In addition Philadelphia is close by. Travellers can check flights from all 4 airports for economical pricing. Also, many cruise ships now leave from the Port of Baltimore. 6. Variety - Baltimore City has over 200 distinct communities and neighboring towns have much to offer prospective home buyers in terms of employment, shopping and entertainment. 7. Sports - The area is home to many national sports teams including Baltimore Ravens, Orioles, Capitals, Redskins plus many top college teams. If you are a sports fan then Maryland is for you. 8. Climate - Maryland is neither north nor south. The climate here is relatively moderate compared to the north and not as hot as the south. This past winter was very mild compared to the past few years. 9. Housing - Maryland has many affordable housing opportunities. However, compared to other parts of the country prices might seem high but overall the cost of living here in Maryland is very good. Plus, there are many housing styles to choose from including many with basements, yard, decks, even roof top decks in some parts of the Baltimore City. 10. Food - If you like seafood and in particular crabs then Maryland is for you. I had never eaten crabs before coming to Maryland and despite the extensive effort required they are delicious. I think the best crab cakes are from G & M Restaurant or Timbuktu. Baltimore has some of the best restaurants around and there is usually something for everyone. Check out Baltimore Magazines best of Baltimore list for a few opportunities. If you are thinking of buying or selling an home in Maryland give me a call at 410-292-0100 or start your search here and we'll talk about the market conditions and what your home could possibly be worth in today's market place if you are thinking of selling. If you are considering buying a home, there is no better time than now to buy. The tax savings and wealth building alone is worth the plunge into todays market. Century 21 New Millennium is part of the largest nationwide relocation company and can assist with your move here in Maryland or anywhere in the United States or abroad. Ask me how. In keeping with saluting our heroes, during 2011 I am waving flat fees for active duty military, retired military and the families of fallen military, as well as policemen, firemen and emt's. If you enter into a contract by the New Year's eve I will waive the flat fee at settlement. This is a $395 savings. If you are thinking about buying or selling a home give me a call and receive full service real estate assistance from an experienced agent. Our office is open 7 days a week and we can be reached at 410-730-8888 or I can be reached directly at 410-292-0100. Floor Them With Floor Plans by Lucy! I love to list and sell homes that are not Clone-onials. 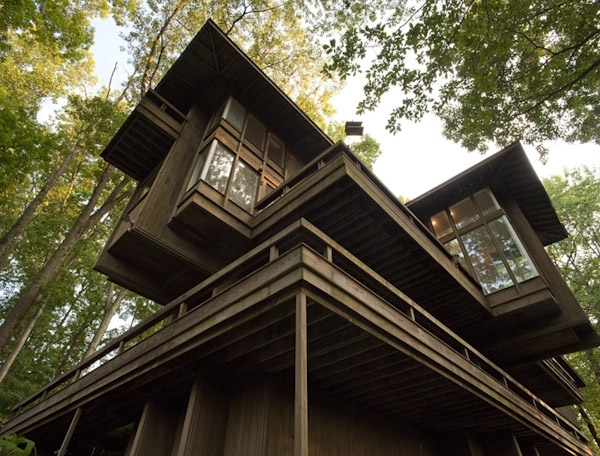 One of my favorites was this Cantilevered Contemporary on 28 acres that I sold this past year. Exciting home yes, but how do you show someone the layout, the room sizes, the location and the different levels before you get to the property? No problem...You Floor Them With Floor Plans by Lucy! My friend Lucy Clark has a wonderful service for us...custom floor plans and custom maps for hard to find locations where other map services may not work. Please take a minute to welcome our new member Lucy Clark to ActiveRain. You may remember my very special Cantilevered Contemporary. Take a look at the floor plans done by Lucy for Bixler Church Rd. It Was A Fine Day In Baltimore For Learning About Real Estate! Today a 3 hour CE course was taught by Michelle Fine with Mid-Atlantic Settlement. When the invitation came via email announcing this class, I signed up right away. Michelle and I met over 20 years ago just before my first settlement and I asked if she would do a mock closing for me. Did not want to be clueless on my first sale. She was wonderful, set up the HUD 1 and we had a pretend settlement with me asking a gazillion questions. Never forgot that special day. Well today was again special. The class was scheduled this morning from 10-1 but that was filled and another filled class took place from 1:30- 4:30 and yes both were taught by Michelle. Guess I am not the only one who knows about this excellent instructor. The class was Real Property Rights & Public Records and the price was right. Three elective continuing education credits for MD and DC agents. Michelle was fluid with her information. Using a Power Point, a hand out and the internet she proceeded to share the wealth of information and online resources including SDAT Real Property...all the things we need to know when listing or selling properties in Maryland. These included tax information, ground rent, principal residence status, and special tax assessments like agricultural or historical preservation. She talked about MD out of state withholding tax and checking the plat for proper recordation, legal description, restrictions, viewing the deed and so much more. This is the information we, as a Broker and Realtor®, need to go on listing appointments and to prepare contracts of sale. Too many people feel this is the job of the title company and that is true. But to be prepared prior to settlement is a must. The more we know about our clients, the more we know about our properties, the more success we have in this wonderful career of Real Estate. If you have the opportunity to meet Michelle, please say hi and see when her next class is being taught. Thinking I was late for an 11:30 AM showing at 3301 Kelsey Court in New Windsor, I called the seller to let them know I was on my way. Opps..good thing I checked. The showing was for 12:30. Perfect timing since I had not had breakfast. We had enough time to grab a bite but not enough for a leisurely meal. We stopped at Denny's in Westminster. They were quite busy but not too busy to make us feel welcome. We were seated right away, our orders were taken and coffee served immediately. A very busy Sunday but the manager, Bahman Khakpouri, made time to stop by our table to make sure everything was OK. While waiting, I decided to photograph one of the best menus around...they actuallly had three, including one for pancakes and another for appetizers and desserts. Next Time You're Hungry, We'll Be Open! In Baltimore All HomeRome Listing Appointments Are Made By Me! One of the most important things I do in my business is make my own appointments. Not a coordinator, not a Centralized Showings and not an assistant. This is the service I give to my clients. Sure if it is a vacant property a Lockbox with 'show anytime' is fine for many. If I have taken the responsibility to list the property, I will take the responsibility for getting agents and buyers into the property. Most agents are quite surprised how easy it is to show one of my listings. A phone call, an email, a text..they all work. Immediately or within a very short time, you know it you have an appointment and can move on to your next task. For a short while, I was trying to follow the logic of having the property available 24/7... but guess what? This is not how I choose to sell real estate. Just this week at a settlement table the young agent and her buyer expressed appreciation. You see she had called on a property of mine that was not quite right. I suggested another, a totally renovated condo that was in the same price range. Within hours this property was under contract. Love at first sight but there was no chance if I had not been making my own appointments. There are many other reasons to make my own appointments. I know my clients, I know how to reach them, I know how to get them ready for a showing. If they are not available or if there is no lockbox then I meet the buyers or plan B is put in place. Many agents have a follow up system either electronically or an assistant who makes calls. When I make the appointment, I am aware of when the property is being shown, I have the seller call me when the buyers leave or if they have not shown up on time. It only takes a phone call to keep a seller happy! Most agents appreciate my making the appointments. I can answer questions about the property and the seller's moving flexibility. Many buyers agents ask me to keep them in mind. I know what they are looking for. It is not unusual for me to run an ad for a specific property for their buyer. When I get a new listing, I give those agents a call right before it hits the MLS. Just this morning an appointment was scheduled for 11 am. A call from the buyer's agent at 10:50 with a cancellation. The agent was a delight (rapport had already been established). She said she would stop by to preview even without the buyer. 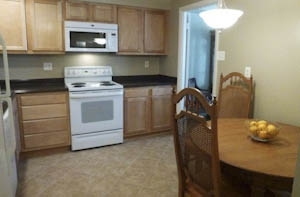 I was able to call the seller right away explain the cancellation and let her know the agent was still coming by. Without that call, this seller could have wasted her Saturday morning. It was raining, she was out of the house with the pets and just waiting to return. The Elmont Condo in Baltimore 6317 Park Heights Ave... Another HomeRome Listing is SOLD! It was a beautiful day in Baltimore, unseasonably warm in the low 80's. No matter what the weather, it is always a perfect time to go to settlement. We had the perfect buyer, the perfect seller, and a delightful buyer's agent Colleen Geppi. When Colleen originally called to make the appointment, it was for another unit in another condo. That one was not quite right so I told her about this special condo at The Elmont. One look and the rest is history. Love at first sight and a quick settlement. 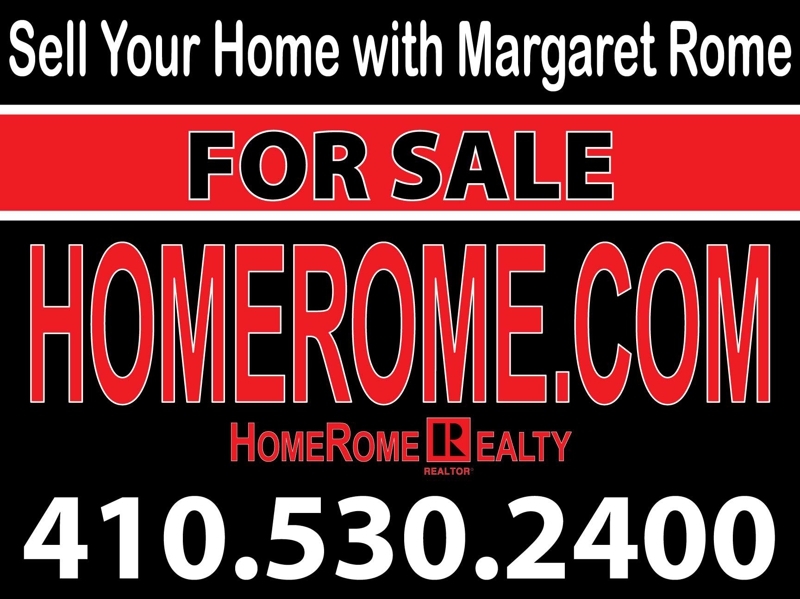 Another Place to Advertise HomeRome Listings...Check Out Roo Solutions! This is what happens when you invite someone special to become a New Member of ActiveRain. You find...Another Place to Advertise HomeRome Listings...Check Out Roo Solutions! Who have you invited to ActiveRain and how have they helped your business? Yesteday's post...How Do You Stay Calm? brought a simple, or so I thought, concept to staying calm and in control. It was a reminder to EAT! Blood sugar can fall creating mood changes, such as irritability, anxiety, restlessness, anger, or confusion. How do you think this will affect your clients? Couple this with the stress of a move and you can easily see a possible emotional outburst. Remind those in stressful situations to grab a snack or ask if they had lunch. This simple concept of eating may be all you need to complete a smooth transaction. Selling Your Baltimore Home...How Do You Stay Calm? Selling Your Baltimore Home..How Do You Stay Calm? There is stress selling a home at any time. When you couple the sale with an illness, an out of town move, uprooting children, a death, a job loss, a divorce, a foreclosure, an age related move or any other life altering situation...well no wonder there is increased anxiety. Take a deep breath, take a few steps back and say..."This is the stress Margaret Rome told us about"
Selling a house is stressful! There are very few transactions that someone ( the buyer, the seller or even the agent) doesn't have a mini breakdown, minor temper tantrum, crying spell or an emotional outburst. We, as professionals, need to be aware, to recognize these situations and stay calm. Sometimes these are quite minor and other times can have significant monetary effect. Maybe an unexpected situation with a home inspection, termites, radon elevation, a failed well or an under appraisal. It could even be a misunderstanding over a light fixture that was or was not included. The key is to be prepared for any outbreak. My nursing background has come in handy for many of these emotional encounters. When working with sellers I have several counseling sessions during the transaction. Then when a situation arises, I can remind them of our earlier discussions. Tip: Remind the sellers to put closure to this move by saying good bye to the house. Sometimes it is smooth sailing until moving day when the truck is late. That is enough to have anyone come unglued. Be available for your clients, be there to assure them. Letting them know that stress is normal... can make the difference. Tip: Make sure your buyers and sellers have eaten prior to settlement. Low blood sugar is another cause of emotional stress. There is Stress Selling a Home. High Stress When Selling a House! One Less Set of Keys...Another Home Sold the Rome Way! It was a gorgeous spring like day with temperatures in the 70's. We are talking Baltimore weather in March. Perfect day for moving and moving we did. The truck was packed , the house was empty and immaculate, the TV cables returned, a Sentri lockbox placed for final walk through, the closing was on time, the HUD 1 signed, the keys exchanged, the funds wired, the seller is driving to New Jersey, the status has been changed in the MLS from contract to sold, the sign has been ordered down. A great big thank you to my wonderful seller who was a pleasure to work with back in 2009 when we purchased this home and even better today when we went to settlement. I do love saying...'Another Home Sold the Rome Way'. 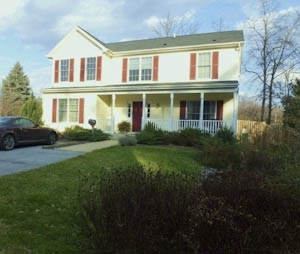 105 Church Lane Pikesville, MD 21208 is the The Newest Home In Old Pikesville. When my listings go under contract, I like to use the term Too Late on my sign rider. When doing my ads I take a thick marker and write Too Late or Sold and put a copy in the file . There is a cool marker like app on my iPad that allows me to write these words in my own writing style. I then take a screen shot and save a photo of these handwritten words. An email attachment is sent to the advertiser so these changes can be made depending on my activity. Now my advertising looks like I personally marked these properties as Too Late or Sold! Using Too Late and Sold ... Advertising the Rome Way. What are you doing to bring attention to your ads? Impromtu Open House 7014 Deerfield Rd. Pikesville, MD 21208 2:30 to 3:30 Today! 7014 Deerfield Rd. 21208 Baltimore County. -Master Bedroom with two walk in closets.."Hers and Hers"
-Fenced level yard with patio. - You can walk to Fields for lunch, a snowball or a last minute gift. So many features in this brick single family home in Pikesville. Which one do you like best? Agents call me to register your buyers! There is a group called Saturday's Shots started by Joni Staples. After seeing Patricia Feager's post tonight, it made me take notice of my own orchids. This plant, given to me by very special sellers, is in full bloom... sixteen flowers. I know because I just finished counting them, not once but twice. That's a lot of beauty on one little plant. Baltimore Humane Society... Maryland Public TV...Can You Adopt Hope? Baltimore Humane Society...Maryland Public Television ...Can You Adopt Hope? A large group of volunteers gathered in Owings Mills this evening for a fundraiser for Maryland Public TV. There was a sea of blue shirts answering phones and taking pledges for MPT. Tonight's show was The Adventures of Sherlock Holmes. Each person who called in with a pledge was entitled to a thank you gift. But each of my callers declined the gifts. They just wanted to ensure that the Mystery Night on MPT would continue. The Humane Society logo on our blue shirts. Look to the left..Margaret Rome. Look to the right..Erica Rome. Her name is Hope and Hope stole the show! She is just perfect... a very gentle eight year old terrier mix. Hope is already spayed, micro-chipped and current on all vaccinations. Adoption fee is only $100 but she needs to be the only dog in the house! Can you adopt Hope? Do you know anyone who could? Realtors® follow a Code of Ethics and so does the Humane Society. "We believe that individuals give to the Humane Society do so for no other reason other than to help pets." My daughter Erica and I will be volunteering at Maryland Public Television- Friday Evening March 16th. This is good exposure for Baltimore Humane Society during MPT's most popular show, The Adventures of Sherlock Holmes. We will all be wearing blue Humane Society t-shirts. Remember when Erica adopted my grandkits? Wendy Goldband is the Director of Marketing & Public Relations and Volunteer Coordinator for Baltimore Humane Society located at.. There were hundreds of cats, all colors, breeds, sizes, long haired, short haired, wavy hair, no haired, green eyes blue eyes and brown eyes. The Pikesville Cat Show is held in the Historic Pikesville Armory built in 1903 to support the expansion of the National Guard program. It is the second-oldest armory in Maryland. This pretty cat was on a leash prancing and leading the owner all over the Pikesville armory. I had never seen a cat "walked" before. A breed in my favorite color...they are called Havana Brown and beauties they are. Of all the cats, my favorite is the one I come home to..Phoebe.